I wore this to run errands. 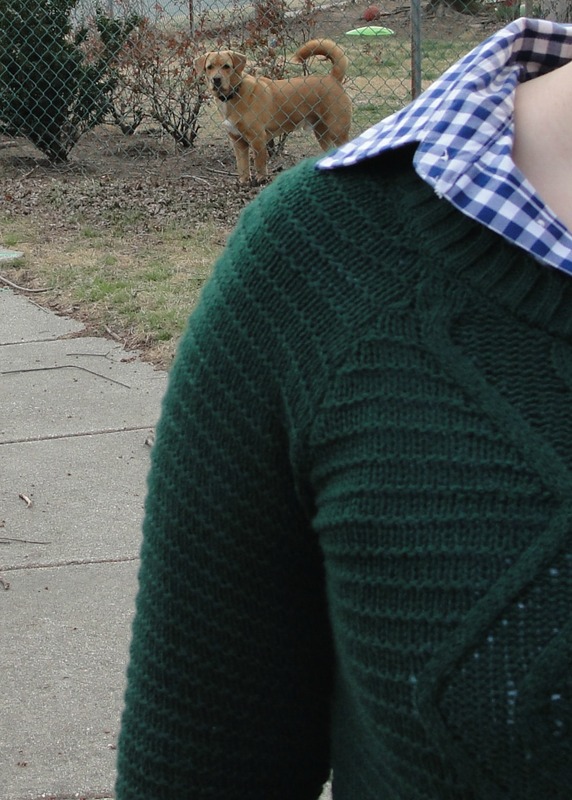 I like the color of this sweater and thought it would be fun to pair it with gingham. Love your layering! That sweater is super cute with gingham! Love this print, wearing it today myself! Amazing touch of colour with the bag. I love that sweater, it looks so cozy. 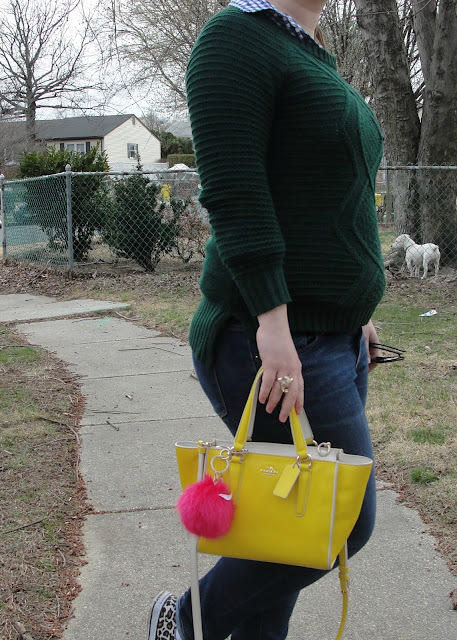 Layering a print shirt under a sweater like that is one of my favorite looks! Such a cozy look! I am all about layering now because it is still cold up here! 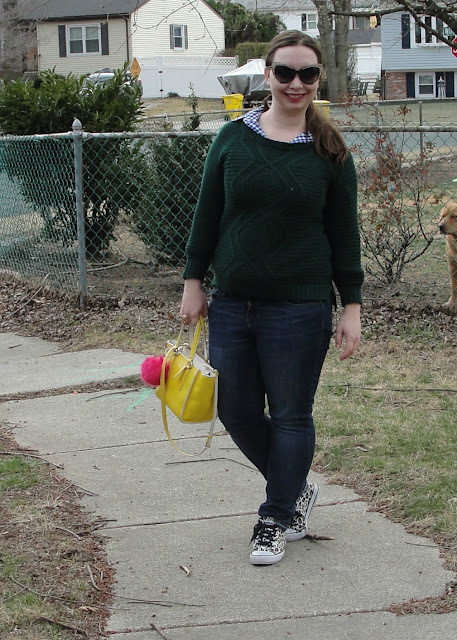 I love how you layered this cute gingham blouse with the green sweater. Great mix of colors! I love gingham! Your top makes the perfect layer underneath your sweater. Gingham is SO big right now. It looks great layered under that sweater. I am also in love with your fun shoes! I love gingham for Spring!